The Holy Qur'an (Summary): Chapter 95 Sūrat at-Tīn ( The Fig ) ~ Islam My Ultimate Decision . 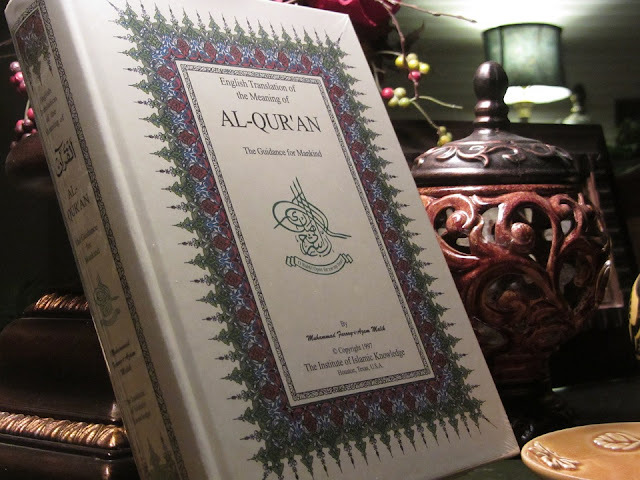 Being a layman, sometimes it becomes very difficult to understand a chapter of the Holy Qur'an which seemingly gives one simple meaning, but in itself hides meanings that stretch one's imagination to greater lengths. And Sūrat at-Tīn (The Fig) is one such Sūrah of Holy Qur'an. It is one my favourite chapters of Holy Qur'an for I learnt it by heart by listening to my morning prayers' Imam who would recite this Sūrah in the first cycle of the Fajar (The pre dawn) prayer. except those who have faith and do righteous deeds. Theirs is a never ending reward. Who, then, can give the lie to you, (O Prophet), about the Reward and the Punishment? Is not Allah the Greatest of all sovereigns? Going by the plain textual meanings, this chapter is very easy to understand for here Allah has taken vows of four things: The fig (considered to be a fruit of paradise), Olives (a healthy oil), the Mount Sinai, where the Prophet Musa (Moses, peace be upon him) spoke to Allah and the peaceful city of Makkah. And then explains how best He created man who due to his wrong doings went down to the lowest of esteem, barring those who believed in Allah and His messengers/prophets and Books. And those who did not believe in oneness of Allah and got astray, there will be severe punishment in waiting. But then I came across some very enlightened tafsirs and explanations which are really mind boggling and that which provide true understanding of this small yet very complicated and hard to understand chapter. "There was a practice among the people of Arabia that they generally named a land where a certain fruit was produced in plenty after the name of the fruit itself. 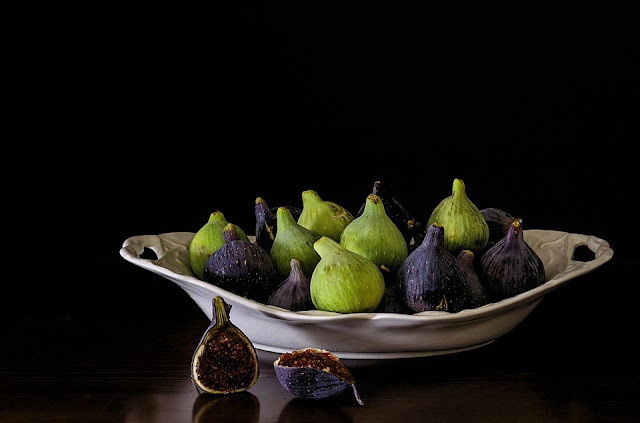 Accordingly, the meaning of teen (fig) and zaytun (olives) can be the land where these fruits are grown, and it is the land of Syria and Palestine, for among the Arabs of that period this very land was well known for the production of fig and olive." Another explanation is based on the fact that "teen implies Damascus and zaytun Bait al-Maqdis (Jerusalem). Another view of Ibn Abbas is quoted as saying "Teen implies the mosque of the Prophet Noah, which he built on Mt. Judi, and zaytun implies Bait al-Maqdis, but hearing the words wat-tin waz-zaytun, no ordinary Arab could think of these meanings, nor was it well known among the Arabs, who were the first addressees of the Quran that teen and zaytun were names of the places." And we all know that the indirect mention of the four places is attributed to favourite prophets of Allah: "The land of Syria and Palestine is the land where a large number of Prophets, from the Prophet Abraham (peace be upon him) to the Prophet Jesus (peace be upon him), were raised. Mt. Toor is the place where the Prophet Moses (peace be upon him) was blessed with prophet-hood. As for Makkah, it was founded by the Prophets Abraham and Ishmael (peace be upon them) themselves. Now this correlation makes sense and based on it, Allah created man in the best mould, that is referring to Prophet Muhammad (peace be upon him) for he was born and raised in Makkah and it was here that he received his prophet-hood. Allah made man in perfect balance, as have all prophets been and all righteous people who follow Allah's path and seek His guidance. But when an imbalance is created and man digresses from the true path and prefers wordily pleasures, he goes down to the lowest ebb, "Except those who have faith and do righteous deeds. Theirs is a never ending reward. Who, then, can give the lie to you, (O Prophet), about the Reward and the Punishment? Is not Allah the Greatest of all sovereigns?" I have tried to summaries this rather complex explanation of Sūrat at-Tīn based on my reading of various references. Please refer to these reference given below to read further details and be better educated. However, the end message by Allah remains uncaged: Those who do good and choose the righteous path as enunciated in the Holy Qur'an will be rewarded which will never end, and those who did not believe or disobeyed, made alterations in earlier scriptures sent down by Allah or got disarrayed, their end will be extreme miserable in the blazing fire of hell.